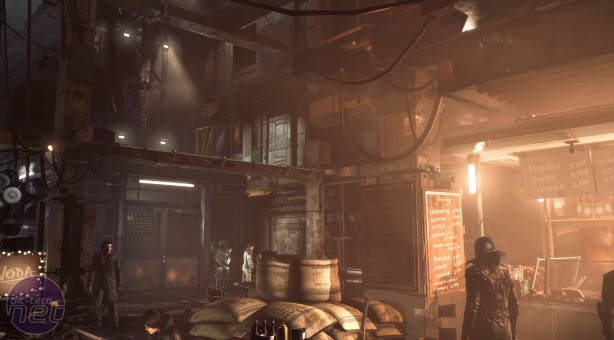 The much anticipated return of Adam Jensen in Deus Ex: Mankind Divided is today. When the reviews embargo lifted last week, it launched to overwhelmingly positive criticism – you can read our own review right here. It certainly seems like it's going to be one of 2016's biggest hits, with Jake boldly proclaiming it to already be in the running for game of the year. While we expect many of you have already pre-loaded the game and are exploring the mean streets of 2029 Prague as we write, many PC players will no doubt be wondering what they'll need to run the game smoothly, or at least what sort of experience in terms of image quality and frame rates they can expect on their current hardware. The game's official minimum requirements specify an Nvidia GTX 660 2GB or Radeon RD 7870 2GB, but the recommended specification is a GTX 970 4GB or RX 480 4GB, which should give you respectable performance at 1080p with 'High' settings. Beyond 1080p, the game recommends using a card with at least 4GB memory and more if possible. System requirements only really give you a glimpse of what to expect, however. 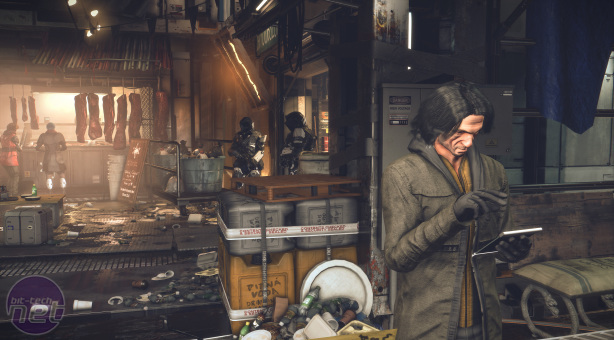 Thankfully, we're here to fill in the gaps – we've rounded up all of the latest graphics cards and a few golden oldies where we could find them and benchmarked them at 1080p, 1440p and 4K using the game's various graphical presets – more on these below. 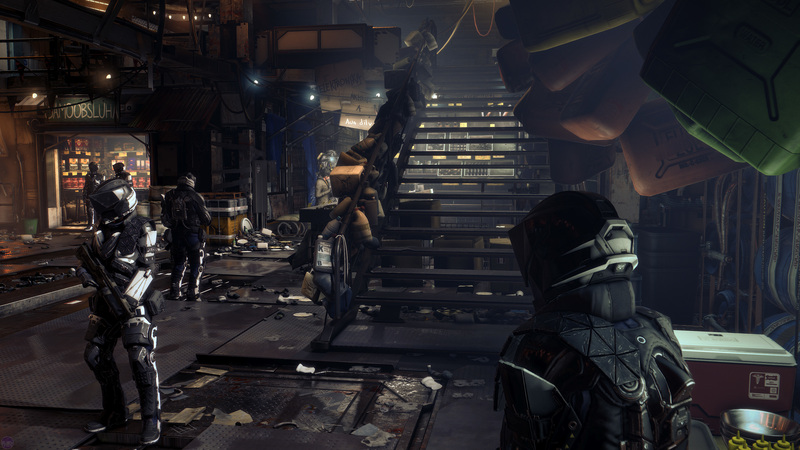 Unfortunately, as we reported last week, the game in its current state only runs using DirectX 11; the DirectX 12 enabling patch is due in a few weeks. We'll consider redoing an article of this sort one this happens, perhaps with fewer cards, to get a general idea of the difference the new API makes – please do let us know your thoughts on this and what you'd like to see from it in the forums. It's important to bear in mind when perusing the many results that they're based on the very first game-ready drivers from both companies: Nvidia GeForce 372.54 and AMD Radeon Software Crimson Edition 16.8.2. Admittedly, DirectX 11 performance is of course very mature for both the red and green teams now, but that doesn't mean there isn't more to be squeezed out – all we can do is wait and see. 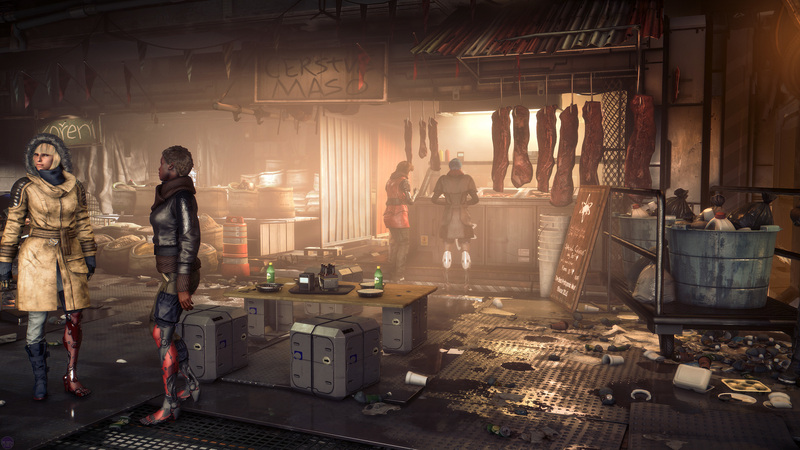 Deus Ex: Mankind Divided is also likely to prove popular among tech press like ourselves as a benchmark as well as among players so it's in both AMD's and Nvidia's interests to eke out extra performance in future drivers, especially once the DirectX 12 patch is released. 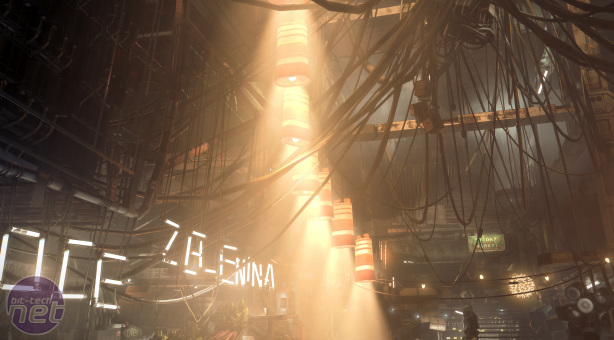 Deus Ex: Mankind Divided is powered by the Dawn Engine on both PC and consoles. It's based on a 'heavily modified' version of the Glacier 2 Engine from IO Interactive, which was used in Hitman: Absolution. A short tech demo video is embedded below demonstrating some of the engine's capabilities. The game launcher allows you to tweak all the relevant graphics settings and comes with five presets, which we've detailed the differences of in the table below. You're also able to change settings and resolution in game, although changes to the textures settings will require a restart. The presets make full use of all the available settings – the 'Ultra' preset is the highest on everything except for Texture Filtering, which can be manually increased to 16x Anisotropic, while the 'Low' preset is the absolute lowest settings on all counts. The game also has an MSAA (multi-sampled anti-aliasing) setting separate to the presets, which we've left disabled in all tests given how punishing it is. Head over the page to see exactly how we tested the game.